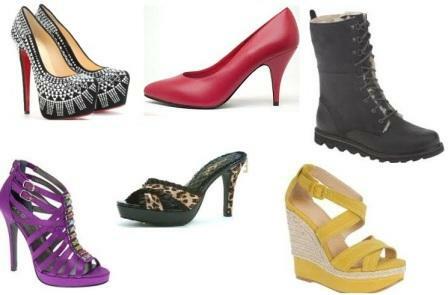 Fashion Shoes for Women – Which One Would You Choose? As tempting as it can be to stockpile your Shoes closet with all kinds of different shoes, we all grudgingly admit it’s not the most practical strategy. It’s actually a dynamite way to go for seasonal shopping and update your looks while treating yourself for lacing through another flinty quarter. Shoes are considered as an integral part that shows your overall personality. Women should make sensible choice of shoes keeping in mind the current trend, their dressing and on the top their comfort on their delicate feet. They have a wide variety of shoes to choose from. Let’s have a look at those varieties and help you have your own comfort. Pumps are those kinds of shoes covering your feet from front and both the sides and even back, leaving it open from top. Pumps are flat as well as come in heels. Flat pumps are generally made of micro fibre, leather or thick cloth and in many different colours. Flat pumps are very comfortable to wear and go along with almost all dressing. Pumps with heels also vary some with 2 3 inches high or some with high pencil heels. Sandals are flat or slightly high mostly giving you a casual or formal look. Sandals are open and cover only a part of the upper foot leaving the toes and sides open. There are types of sandals available but the common ones are flip-flops, gladiator sandals and brikenstock sandals. Sandals go best with Jeans, shorts and skirts while gladiators look the best with short dresses as the top and sides of the sandals are open. Wedge shoes are highly trendy and very stylish high heeled shoes where the entire foot is covered from front to back. The heel is usually made of wood and is of brown colour. Wedge lifts the entire foot which gives comfort while walking instead of keeping your foot in slant manner that those traditional heels tend to do. They give stability and are stylish which suits on all kinds of apparel. Mules come in flats as well as heels where your foot is covered from front and the back is left open. They come in pointed, square or rounded shapes. Mules are wore mainly on formal dresses only and goes best with trousers or jeans. Type of shoes that cover your entire foot including the top of your foot. They may come in wedged, flat or heeled styles. The short one reaches up to ankles while some are high and reach up to knees or in some cases even the thighs. Boots are used for formal as well non formal dressing also. Mostly used during winters, boots never go out of fashion like the above mentioned shoes which generally go in and out of fashion. So ladies, don’t try to go with trends instead try to go for your comfort and find a pair of shoes which suits you and your feet the best.